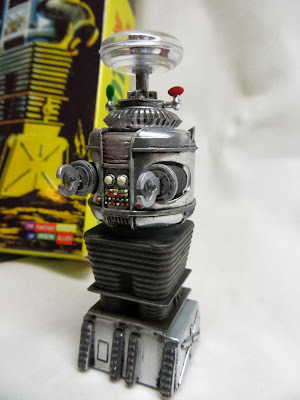 Philmodel: "Take care, Will Robinson"
On yet another visit to the model emporium I noticed a litttle box sticking out from the science fiction shelf. Since I'm currently building Moebius's Jupiter II, I suppose I had a subliminal eye out for 'Lost in Space' accoutrements. 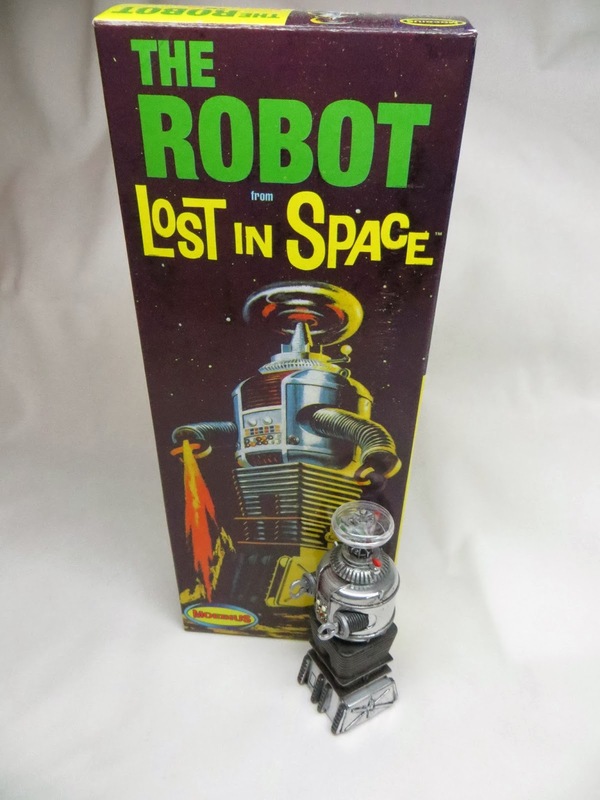 This one turned out to be the robot from that long ago TV series, so, add to basket! 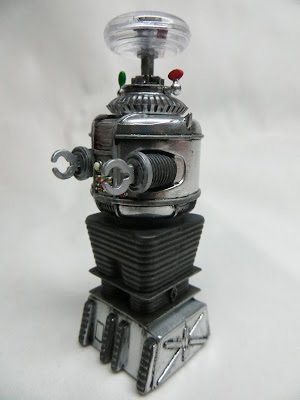 A straight forward build like this wouldn't disrupt the bigger projects I'm currently working on. Besides, I can try out that new Alclad chrome finish that's burning a hole in my paint box. As you can see from the photos it worked out well. The plastic was a bit on the thick side, which gives its age away. Transparencies were surprisingly clear and part fit was great. The robot is of diminutive size, requiring little commitment in the way of display. I'm anxious to finish the ship and see him in context.